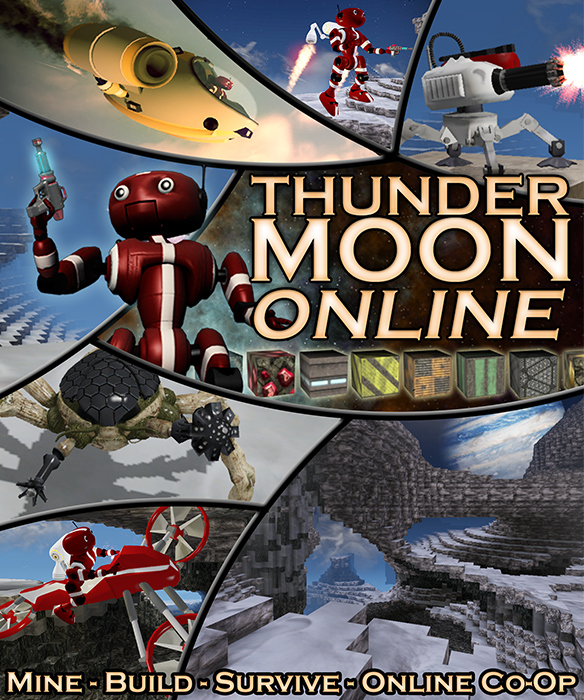 Bounding Box Games Dev Blog: Announcing Thunder Moon Online! Today, I am announcing Thunder Moon Online. It is the culmination of over 3 months of work building on the Thunder Moon engine which brings multiplayer, improved AI and other new content to the Thunder Moon universe. I had been planning to provide these new features as an update to the original game, but it turned into three months of work which is just too much to do for a free update. Also, it became apparent late in testing that the changes to how data is stored makes it impossible to apply this upgrade without causing loss of player data. While this is something that could be solved with more development time, it is not a trivial task and as a solo developer I simply can’t afford the time to do that. I didn’t make this decision lightly, but if and when you play Thunder Moon Online (and I hope you do!) I think you will find that the addition of multiplayer, over 150 new blocks and other features will make this new iteration a lot of fun for a dollar.